The RSGB IOTA Contest, using the Islands on the Air concept, was created in 1993. This is now a major international event, attracting thousands of participants from all over the world. 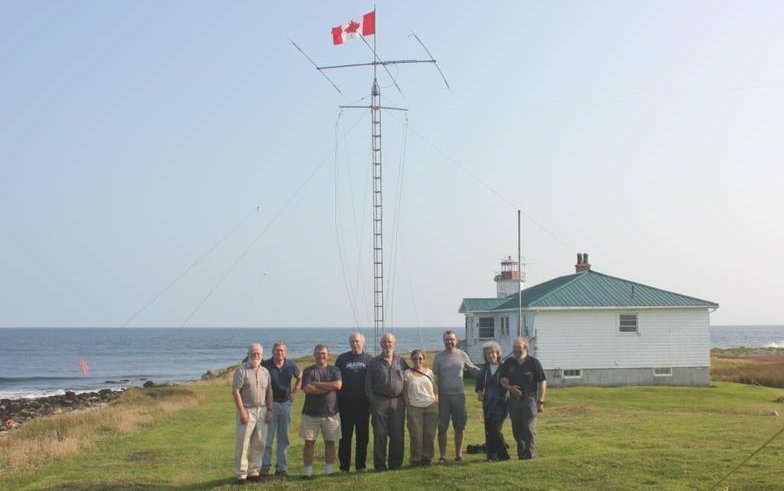 Radio Amateurs will be travelling to islands around the globe, and putting them on the air, making contacts with other islands and with those who are chasing islands. Contest bands are 80m, 40m, 20m, 15m and 10m, both CW and phone. The duration is 24 hours, starting at 12:00 UTC on Saturday (1 p.m. UK time). Stations send a signal report and serial number, with stations on islands sending their IOTA reference number, described below. The next RSGB IOTA Contest is 27-28 July 2019, and a guide for newcomers to the contests is at www.rsgbcc.org/hf/information/iotahelp.shtml . The IOTA Contest is based on the RSGB Islands on the Air awards programme which recently celebrated its 50th anniversary. The IOTA idea was conceived in 1964 by British short wave listener Geoff Watts (SK), who imagined that those of us who live in crowded cities would love to set up a station on a sunny beach among palm trees. This prospect is appealing to Radio Amateurs, even if the island in question might not be further away from the UK mainland than the Isle of Wight! Geoff realised that there were too many islands in the world to enumerate, so he grouped together islands, particularly when they were small. In the IOTA programme numbers are allocated to each group using a continental prefix. The basic IOTA award requires contacts with 100 islands and groups including at least one from each continent. Entrants can obtain award credit for QSOs made in the RSGB IOTA Contest. The IOTA Reference, sent by Island Stations in the IOTA Contest, consists of two letters indicating the continent, and a number indicating the allocated reference within that continent. This contest brings together those who like to put islands on the air, those who enjoy contesting, as well as those chasing islands for awards. Please join us for a great weekend! The IOTA website has a full list of IOTA islands, and other information relating to the IOTA program. The RSGB shop (www.rsgb.org/shop) has the RSGB IOTA Directory.